Home > Insights > IBM Connections 6.0 officially announced! IBM Connections 6.0 brings a range of new capabilities to the end-user creating a richer, more focused and more effective experience. 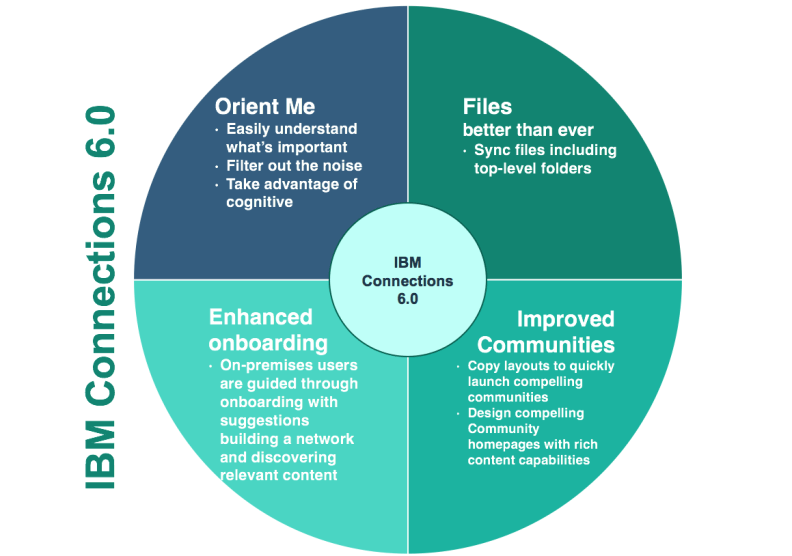 With IBM Connections 6.0 we added new functionality across the board from Communities, to Files, Search, Onboarding as well as the brand-new IBM Connections Homepage – Orient Me. – Create Community experiences with enhanced rich text content editing (HTML), so that Community members can enjoy an engaging experience. – Choose from new modern layouts with a horizontal navigation bar to better use space on Community pages and match the Community’s purpose more effectively. – Create new Communities faster by choosing from existing layouts, which can help to save time and establish guidelines for Community design. – Reduce clutter on Community pages by hiding a widget while retaining its link in the navigation menu. – Files users can select a top-level folder in their Files and mark it for sync. This permits the users to take the content of entire folders offline to their desktop and keep them synchronized with the files on the server. – For IBM Connections environments with large amounts of documents stored in IBM Connections Files, administrators can now leverage IBM Cloud Object Storage, the hybrid cloud object storage that adapts to your workload needs. – See, at a glance, the updates and information most relevant to users, displayed in a new visual layout and prioritized based on their interaction with content and people. – Apply new content and people filters to better control what users see. 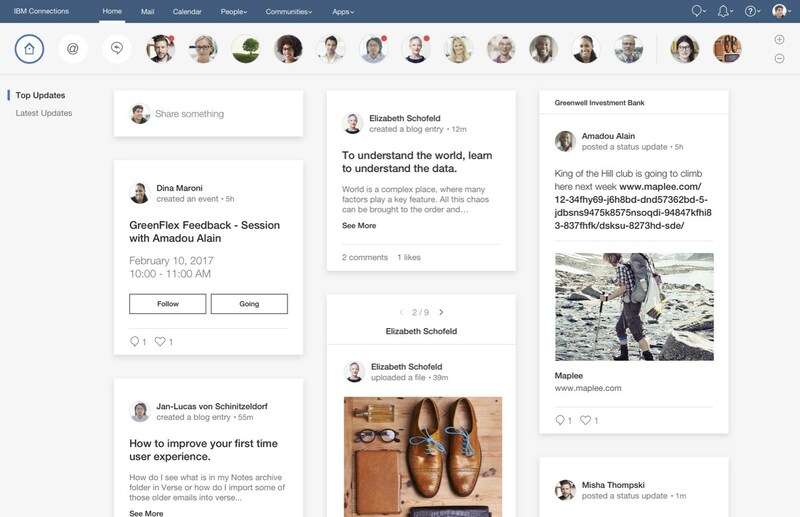 – More easily view updates grouped by a person, a Community, or content. – Receive suggestions about the people most likely to be important and relevant to their work.